Maxon Motor GmbH in Sexau, Germany, who develop and produce standard and special gearheads, also provide powder injection moulding for highly complex components. 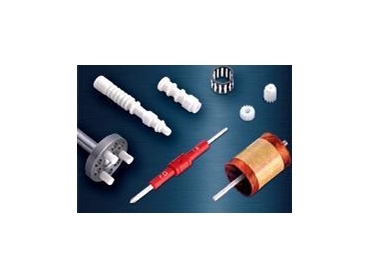 They offer ceramic (CIM) and metallic (MIM) injection moulding components under the Maxon ceramic brand name. These are mainly customer-specific solutions and also components for gearheads and motors. The possible uses of CIM and MIM components are diverse due to the unlimited moulding options and special features of the materials used. From medical to dental technology, electronics and textile industry to measuring and controlling technology use these production technologies.